Description - Naturesort 4 slat deck tiles are made with plastic and bamboo making them resistant to both insects and weather. Fade resistant and and easy installation makes these tiles great on decks, in outdoor showers and much more. 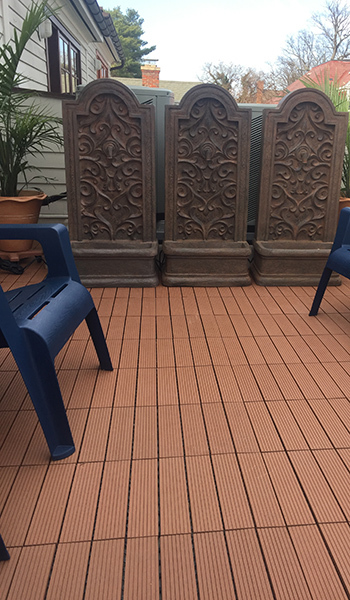 Eco-friendly and more durable than solid wood, these outdoor deck tiles are backed by a 20 year warranty. 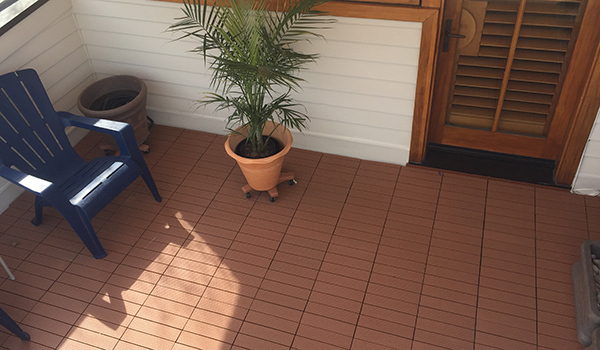 Recommended Uses – Naturesort Deck Tiles are great as flooring for balconies, decks, outdoor showers, walk-in closets, or partial areas in bathrooms, showers or closets. When you come up to a wall or object, don’t worry. Just measure the area and cut the tiles with a sharp tile cutter and put the trimmed tiles into place. What equipment do you need for cutting tiles to fit? Want to install on wood base on outdoor balcony. Thank you! When you come up to a wall or object, don’t worry. Just measure the area and cut the tiles with a sharp utility knife and put the trimmed tiles into place. You can also use a large tile cutter. Can I put these right on the grass, no flooring? You can install our Naturesort Deck Tiles (4 Slat) directly on the grass temporarily. For best results, we recommend placing the tiles over a solid, flat surface such as concrete, but these tiles can be installed virtually anywhere as a temporary solution. Can these be installed on top of a rubber membrane roofing material? Can they be put on top of concrete and be left outside thru a cold Chicago winter? 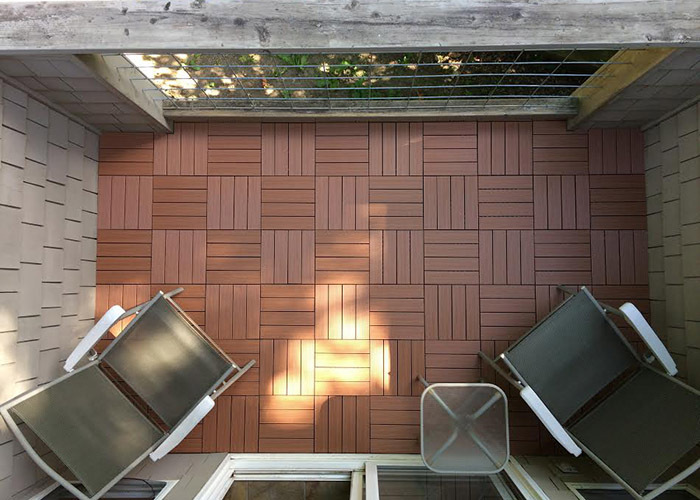 Naturesort deck tiles are made from recycled plastic and bamboo and can withstand the harsh winters found in Chicago. Are these tiles air and water tight so that no rain or melting snow will drain out the bottom of the flooring to area below? Our Naturesort Deck Tiles are not water tight. They do have gapping between the tiles and between the slats that comprise that tile. This allows for water to flow freely through the floor. 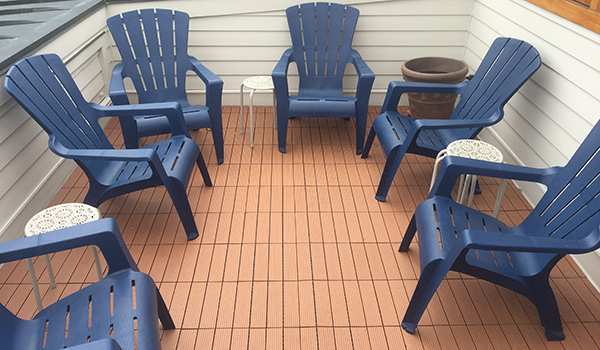 We covered a small deck off of our sunroom with the snap together floor tiles. See the photo attached to this e-mail. Putting the tiles down was quick and easy, and we are very pleased with the results! We’re very happy with the product.